Kulas Maids Inc., your premier cleaning service in Lincolnshire, has been serving the Chicago North Shore Suburbs since 1983. Family owned and operated, Kulas Maids has the experience and expertise to make your home sparkle. Check out our new video on our home page for more information about our cleaning services! 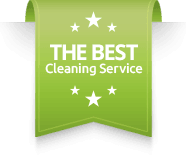 Kulas Maids provides a quality house cleaning service in Lincolnshire, IL 60069, and guarantees you 100% customer satisfaction. We use green cleaning products that are Green Seal Certified; however, if you’d like our maids to use your cleaning products, just let us know! At Kulas Maids, taking care of our customers is our goal and we do our best to transform your home into a healthy and welcoming area. Our maid service is unique in the way that we will clean your home in a quick way at a reasonable price—we do this by sending 4 trained maids to your home. If you are looking for a reliable and dependable maid service in Lincolnshire, please call our office today!